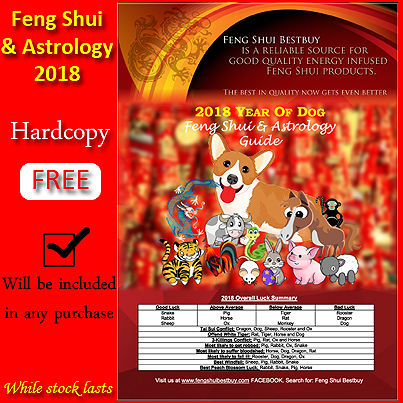 You will get the "2018 Year of Dog Feng Shui and Astrology Guide" for any amount spent with us. While stock lasts, please purchase with us now before the stocks are gone! This free gift can be subjected to changes at any point of time.